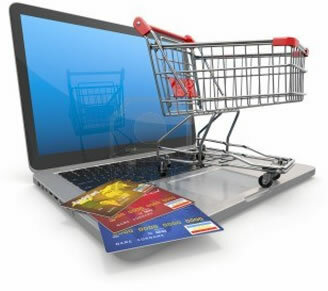 Deatherage Web Development specializes in e-commerce. Being successful online takes the right tools and the right expertise. Think of your e-commerce site – your website – your online store as your representation of you to your customers. It’s important that it represents you in a professional way. So, being successful online takes more than throwing a quick website together. You need someone who know what they are doing and has the experience to guide you and be with you through every step. We can, and we will be with you not just from the beginning to the completion of your site, but we will be there afterwards as well to guide you and bring solutions to your needs. With over 18 years of experience in e-commerce web development, web design, and consulting for small and medium size businesses, we can help you become successful online. Because every customer is not the same, we work with many different platforms, and pride ourselves as experts. Be assured that we will recommend the best software and services to provide you with the best possible outcome at a reasonable price. For e-commerce, we work mostly with Magento and WooCommerce, but also osCommerce (including forks such as ZendCart and Cre Loaded), WP-Commerce, and OpenCart. We also do PayPal and BrainTree integration. After we have built and launched your site, you have no need to worry. We will still be by your side to provide training for you and/or your employees as well as ongoing consulting to help you be as successful as possible. Your success is truly our success. Give us a call today to find out what we can do for you.